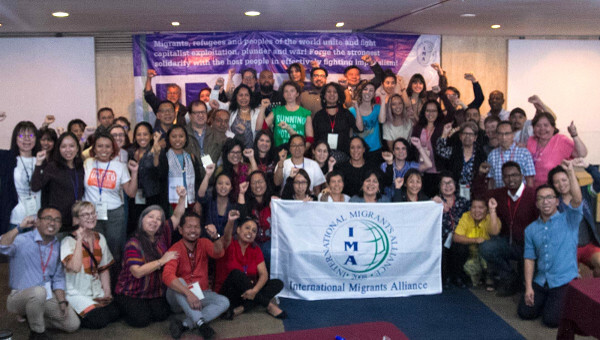 Convened by the Bolivian government and social movements, a global peoples’ summit on migrant and refugee rights attracted more than 4000 pro-migrant and refugee rights activists from 43 countries. 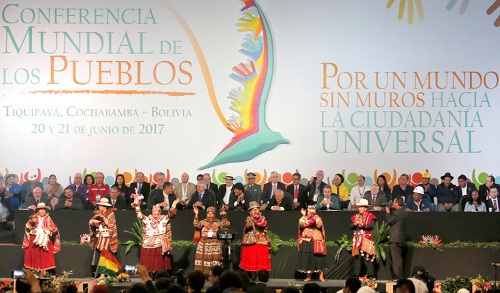 Dubbed the World People’s Conference “For a World without Borders Toward Universal Citizenship,” it was held in the town of Tiquipaya, on June 20-21. Following two days of discussion on issues such as the structural and systemic causes of human movement, the impact of climate change, economic crisis and interventionist policies on migration flows and strategies for protecting and increasing the rights of migrants, refugees and their families, the following declaration was adopted by the conference. Social movements and citizens from around the world, meeting in Tiquipaya, Bolivia, on June 20 and 21, 2017, after hearing the testimonies of migrants and refugees and collectively debating on the basis of our historic memory and the plurality of our identities, approve the following declaration, with the aim of manifesting our vision and proposals regarding the so-called migrant crisis to states and the international community. The establishment of relationships based on complementarity, equality and solidarity between individuals and peoples; recognition and universalization of access to basic services and fundamental rights, which must not be the objects of profit and speculation by private groups. The broadest possible participation of citizens in the elaboration and implementation of public policies, overcoming oligarchies, dynasties, monarchies and other forms of political hierarchies. 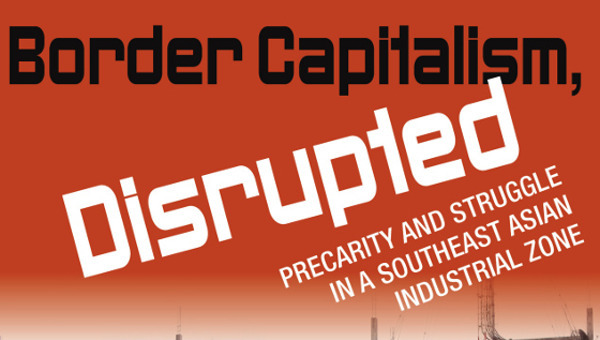 A new international financial architecture, where there are no multilateral organizations at the service of transnational capital, and where social property over natural resources is guaranteed. A harmonic coexistence with Mother Earth and respect of its rights; understanding that nature can survive without human beings, but human begins cannot live outside of nature, violating its rights and destroying its habitat. Building genuine peace, which not only means the absence of armed conflicts, but overcoming structural violence through equal access to wealth and opportunities for development. We have verified that the principle causes of this crisis are bellicose conflicts and military interventions, climate change and the enormous economic asymmetries that exist between states and within them. The origins of this destructive situation can be found in the dominant global order, which in its extreme hunger for profit and the appropriation of common goods generates violence, promotes inequality and destroys Mother Earth. The migrant crisis is one manifestation of the integral crisis of neoliberal globalization. 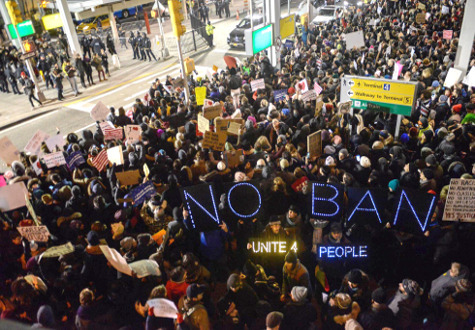 Human movement is a right that is rooted in the essential equality of human beings. However, in the majority of cases, it does not the result of a voluntary decision made by people but rather due to situations of necessity that have reached the extreme of forced migration. Along with the pain caused by being uprooted, we should add the situations of injustice, exclusion, discrimination and exploitation that people suffer in transit and in receptor countries, which go against their dignity, their elementary human rights and, in no few cases, their own lives. The hegemonic discourse, promoted by transnational media corporations, promotes a negative vision of migrants, and hides the contribution they make to receptor countries in economic, demographic and socio-cultural terms. We view with concern the growth of neo-colonial, intolerant and xenophobic positions that go against cooperation between peoples and constitute a genuine threat to world peace. Paradoxically, these positions are promoted from the centres of global power, the same ones that are primarily responsible for structural violence, planetary inequality and climate change, to the detriment of the creditors of social and environmental debt: the poor people and countries. That is why we are promoting, from the grassroots, the following 10-point plan of proposals to bring down walls that divide us and constructs a Universal Citizenship that enshrines the right of all to have and fully enjoy the same rights, for the well-being of humanity. Replace the hegemonic perspective that dominates migration policies and proposes controls on migration to make it “regular, ordered and secure,” with a humanist vision that seeks to “host, protect, promote and integrate” migrants. Reject the criminalization of migration on the false premises of security and control. In particular, we demand the elimination of “migrant detention centres.” Demand the destruction of physical walls that separate peoples; invisible legal walls that persecute and criminalize; and mental walls that use fear, discrimination and xenophobia to separate us. In the same manner, we denounce the media walls that attack or stigmatize migrants and campaign to promote the creation of alternative media outlets. Create a World Ombudsperson of the Peoples for the Rights of migrants, refugees, asylum seekers, stateless people, and victims of human trafficking and slave trading, to promote free movement and human rights. We ask the people and government of Bolivia to work toward the creation of a coordinating secretariat to put into effect the implementation of the resolutions in the declaration issued by the World Conference of the Peoples for a World without Walls toward a Universal Citizenship. Demand governments create and/or strengthen Regional Citizenships that allow inter-regional movement and the full exercising of their rights, as a bridge toward universal citizenship. 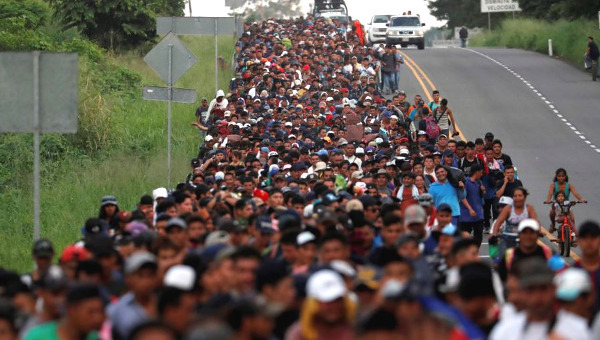 Demand that public spending on war and the criminalization of migrants be used for the creation of integration programs that guarantee the full exercising of rights of migrants and their families. Promote local policies that create integration-based cities and societies, where migrants, in their everyday lives, have the right to housing, health, education, social security, under the principles of complementarity, solidarity, fraternity and diversity. Call on all governments of the world to struggle together against the criminal networks that traffic in human beings, and declare slave trading and human trafficking to be crimes against humanity. Actively participate in the negotiations for a Global Compact that will be adopted in 2018 in the United Nations. Proclaim in the General Assembly of the United Nations, the International Decade for a World without Walls toward a Universal Citizenship. Go beyond the focus on “rigid borders” toward a vision that understands them as bridges of integration for unity between people and the hosting of migrants, where the struggle against organized transnational crime occurs within a framework of cooperation between states. Promote well-being in migrants’ countries of origin, so that movement is always voluntary and not forced upon people as a result of poverty, violence and climate change, denouncing the impact of irresponsible actions by transnational companies and applying sanctions on those that act against the permanency of families in their place of origin. This declaration has been translated by Federico Fuentes for Green Left Weekly where it was first published.